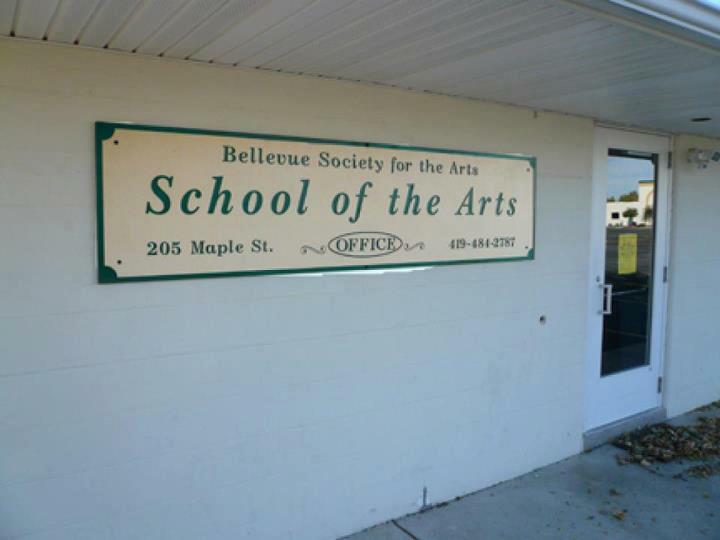 Bellevue Society for the Arts Education Studio has announced their current slate of instructors. Cindy Mira — Voice Cindy is a well-known music teacher in Bellevue. She has been an elementary music instructor for 24 years as well as singing professionally for over 30 years. She created and directed the Elementary Special Choir for Bellevue, and in conjunction with Bellevue resident Dottie Pickering, founded the BSA Children’s Theatre program. She performs with Terra Choral Choir and is a member of The Music Staff, a teachers’ singing group. Cindy holds a bachelor of ﬁne arts in music education and a master’s degree in teaching and curriculum from BGSU. Cathy Belﬁore — Beginning Guitar Although not a newcomer to the BSA studio, we are pleased to have Cathy return as an instructor. She has been a guitar instructor for the EHOVE Youth Enrichment program for several years, taught guitar for the Bellevue Music Center, Terra Music Academy, Bellevue Society for the Arts, BGSU Continuing Education, as well as private home-based lessons. Cathy has been performing professionally for over 25 years. She is a band member and back-up singer with Walt Sanders and the Cadillac Band, and has performed with other local acts such as Dave James and the Alien Blues Project, and Rumours. She also enjoys working with youth creating Youth Worship Bands. Cathy has a bachelor of arts degree in interpersonal and public communications, and a master of arts in college student personnel, both from BGSU. She is currently employed by Oberlin College. Tamara Kagy — Flute Tamara, also not a newcomer to our studio, will continue to instruct ﬂute at every level of experience. The holder of a master of music degree in music performance, Kagy has been the owner of her private ﬂute studio in Norwalk for 28 years. She is a specialized coach and ﬂute clinician for local high schools and instructor of ﬂute for Terra State Community College. Her performance experience includes freelance soloist, principal ﬂautist of the Firelands Symphony Orchestra, performing at world-class ﬂute master classes, manager and ﬂautist for The Phoenix Project Wind Quintet, Terra Community College Chamber Arts Orchestra, Celtic harp/ﬂute duo, and the Huron Playhouse Pit Orchestra. Laura Horn — Voice Laura holds a Bachelor of Fine Arts in Musical Theatre from Marietta College, as well as post-graduate studies in vocal performance at BGSU. Private Voice Lessons — All Ages — Open Scheduling (Sundays preferred) 30 minutes: $15; 60 minutes: $25. Please feel free to contact Laura at lhorn350@gmail.com if you are interested. Karen Westgate — Harp, Piano Karen is a graduate of Biola University in LaMirada, CA, with post-graduate studies in harp performance at Akron University. Anyone interested in signing up for these lessons, please call 419-484-ARTS (2787) and leave a message. We are hoping to add instructors for other instruments in the future.